The Micah Initiative provides support and mentoring to the Woodville Elementary School community. 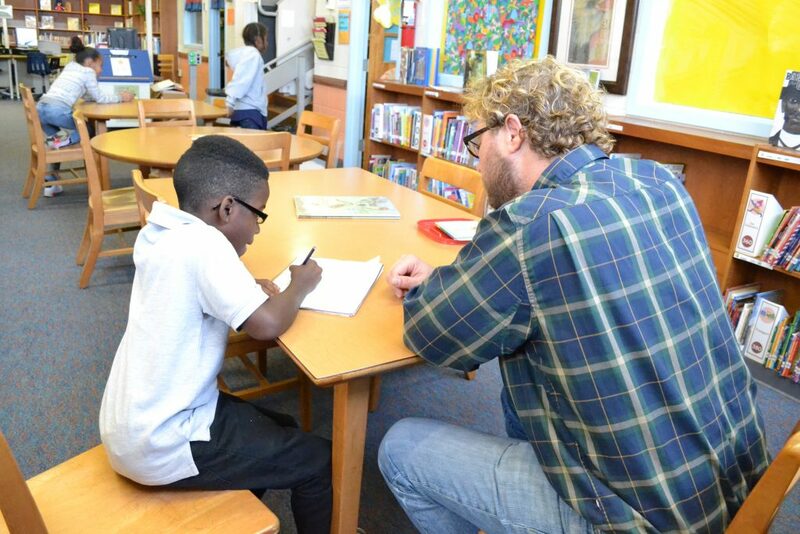 Volunteers can help support the student/school by mentoring, becoming classroom assistants, being a reading buddy and running small groups such as book groups and chess clubs. St. Paul’s partners with Communities in Schools, specifically with our CIS Coordinator Amy Malloy, as well as many other community partners in order to support the students, families, faculty and staff. Currently, we are raising funds for the annual MICAH Summer Camp through the winter campaign, “Put Happy on a Face.” Each year, because of this camp, students from underserved neighborhoods get to experience fun and fulfilling activities like kayaking on the James, group dance, art projects and more with volunteers from all over Richmond. To contribute to Put Happy on a Face, please click here and on the drop down menu, select “MICAH Camp-restricted” as your option. If you are interested in learning more about Micah or are interested in volunteering, contact Lynn Williams, Minister of Outreach.